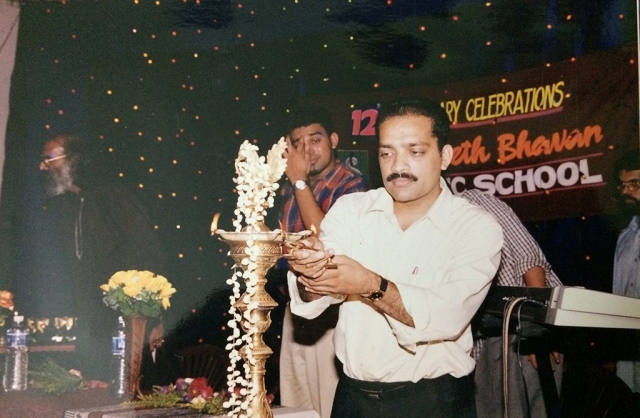 We Celebrated our 12th anniversary on 14th May 2004. The event held at C.S.N. 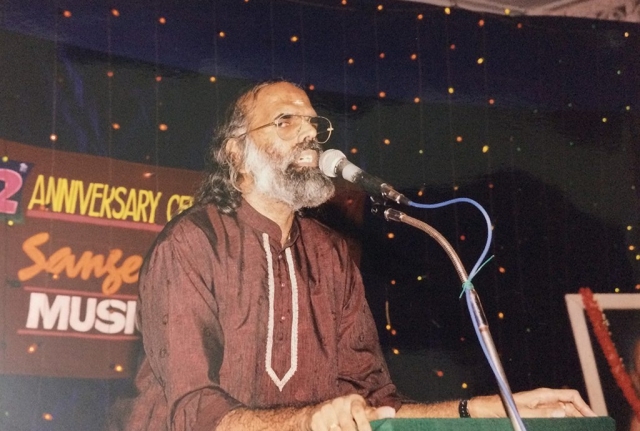 Auditorium, Ottapalam. 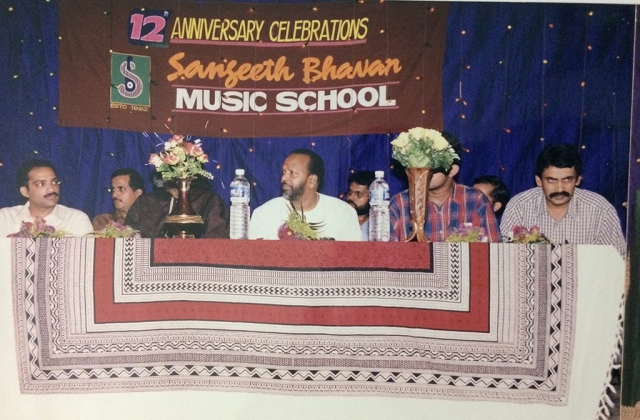 The event was inaugurated by the famous music director Sri. Vidyadharan Master. Welcome speech was delivered by Sri Pratheush – President, Manjadi (Sangeeth Bhavan Music Club). 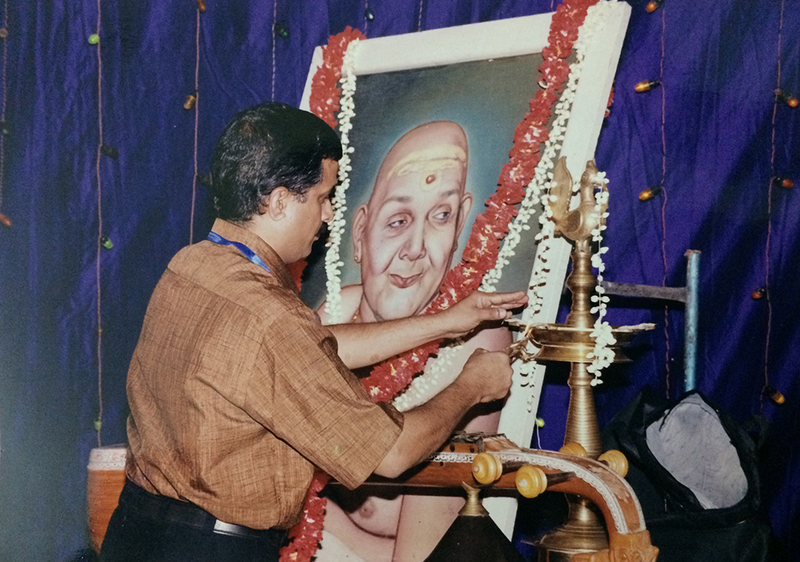 Presidential address by Sri. A. Anantha Padmanabhan (Veena Vidwan, AIR Thrissur). 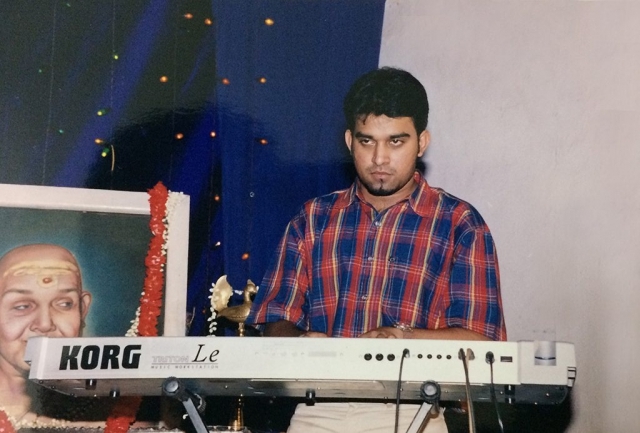 Sri Iyer Venkataraman introduced the keyboardist Stephan Devassy. 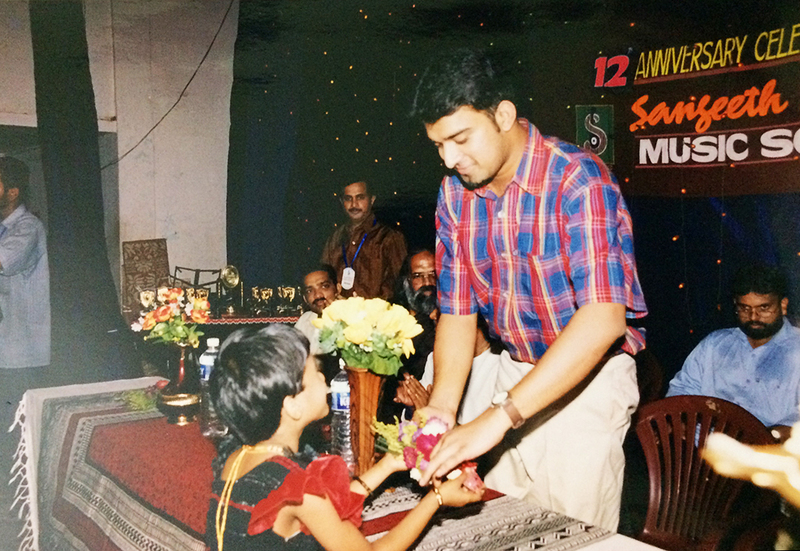 The momentos were presented by the Sangeeth Bhavan Directors. 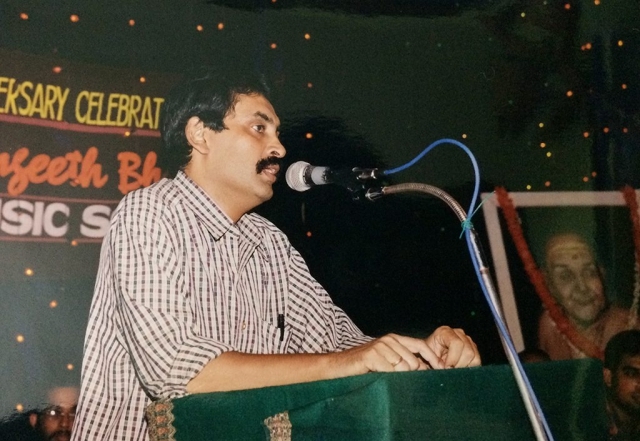 Facilitation speech was delivered by Sri. 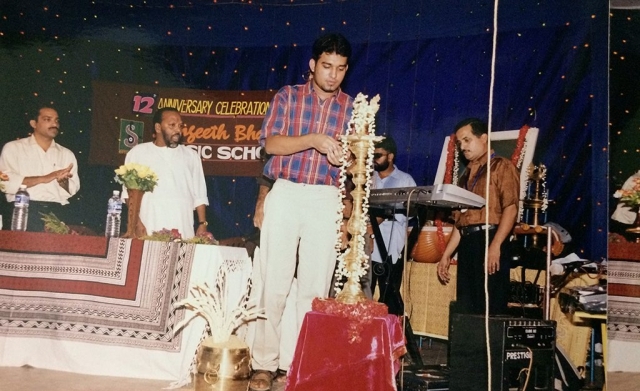 Jimmy Mathew, director of Harmony School of music, Thrissur. Performances of our students started at 6.30pm. Orchestra and prize distribution ceremony held afterwards.